Feds announce new funding for accessibility in the N.W.T. Four organizations in Hay River, Yellowknife, and Inuvik will receive $180,000 in new funding for ramps, automatic doors, and improved entryways. Four local organizations will receive new funding to improve accessibility, N.W.T. MP Michael McLeod announced Thursday on behalf of the federal government. Two churches, the Prince of Wales Northern Heritage Centre, and the Hay River Mé​tis Government Council will receive $180,000 in new federal funding for automated doors, wheelchair ramps, and improved entryways. The Hay River Mé​tis Government Council received $50,000 to "build wheelchair accessible sidewalks, install doors and construct a vestibule," according to a statement from its finance manager Louise Lafferty. "Barriers have been removed, allowing members and visitors to be involved in programs… [and] socialize with others," said Lafferty. "Now that they can access the building with little or no help it will bring their dignity back as well." "It is definitely a huge win for the community." The new money comes from the Enabling Accessibility Fund, a $15.6-million federal program to fund renovations and retrofits aimed at increasing disabled access. All four recipients fall under the "small projects" category, which funds improvements up to $100,000. 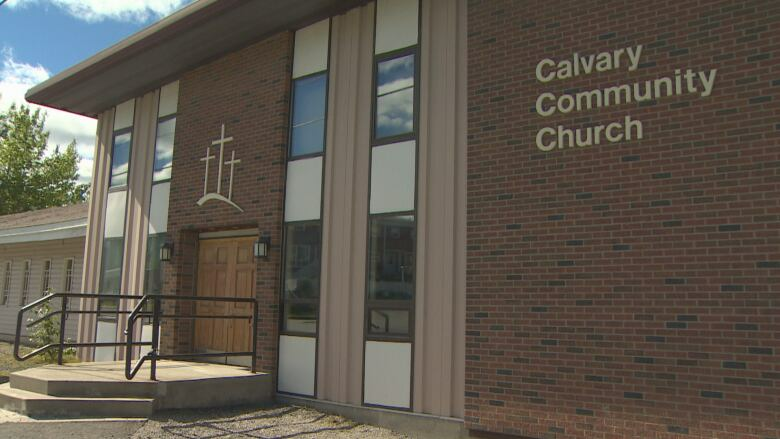 McLeod announced the funding at Calvary Community Church in Yellowknife. The church is the recipient of $50,000 in funding for a new wheelchair ramp and automated doors. In a government news release, church member Vicky Johnston said the church is "grateful" to receive the funding. Inuvik's Our Lady of Victory Parish, home to the iconic Igloo church, also received funding — $31,542 will go toward the construction of a new wheelchair ramp. A previous version of this story incorrectly stated the funding was announced by the territorial government. In fact, N.W.T. MP Michael McLeod made the announcement.